So many of us (perhaps all of us) have experienced times when our lives made no sense to us at all. Perhaps it was the residual effect of a traumatic experience, or perhaps we just found ourselves in a state of absolute confusion. What does one do when life appears to be pointless? What does one do when one feels isolated from the world around us? Sometimes clarity can come from a total stranger. Who else was out there alone? History, thankfully, speaks for itself. The evidence to me is quite clear. And the ones for whom no one is there? To a life of compassion. He gave me a reason to live. And I am so glad that he did. Selling red roses simply so she could eat. I met a man jilted by another. Who just dreamed of going home. They had much in common. They all just wanted a friend. Someone with time to spend. “Just a Man” is taken from my book “Just Thinking” (click cover in column [may have to scroll up] on right for more information). 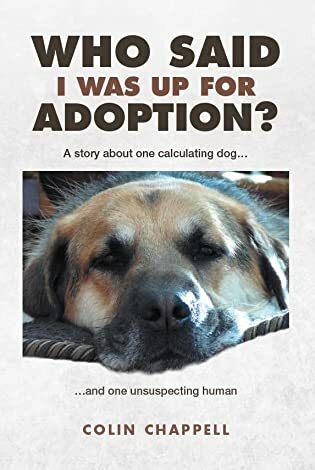 The book contains many more pieces about life’s challenges, relationships, and even a few about our almost 80lbs of rescued attitude in the form of a German Shepherd/Rottweiler named Ray! Thank you Himali and yes, those lines (as simple as they are) capture so much. So many people think that one needs money to be able to give charitably, and not everybody has spare money … but we can usually find some spare time if we look hard enough. Hi Colin, when we were young and didn’t have mug to spare, still my parents cared for others in little ways they could. Sometime when a guest would come home without a warning and we had dinner for just 4, they would say they’ve already had dinner to accommodate our guest. Such kindness warms my soul. It’s the KIS principle – “Keep It Simple” (from the more expressive KISS principle – “Keep It Simple, Stupid”), which can be applied to work and personal life. We call it Keep it simple, Silly 😀 I love the KIS principle and certainly would strive to implement in my daily actions. This is incredible, Colin – I am sure many of us have gone through such phases and hopefully, many of us have been lucky enough to draw an inspiration to get back up. Belated Congratulations on your new book 🙂 I have been incredibly ignorant of the world off late 😦 Hoping to correct it now! Thank you LeeAnn … and there are many more in the “Just Thinking” book. A deeply moving reminder for us all to be better humans….and the profound impact we have on each other. Thank you Colin…for your beautiful addition . Profound. Simply profound. This is going as a guest post on my ministry page. There are of lessons that need learned within these words. And Thank You…..for this reminder….and the lessons shared. You’re very welcome Andrea. We, as a society, must be encouraged to get back to the basics of treating people the way that we would like to be treated. Some of the happiest people I have known, have served others. Some of the most miserable people that I have known, have only served themselves. What’s sad is ..the miserable outnumber those who are happy quite a bit. But that’s ok! Gives me more excuses to be crazy enough to make them laugh!😁 You would be surprised how much easier it is to get some to care through laughter and a simple smile!😉 We’ll get there! 1 grump at a time😆 !! If you provided a reason to follow your Blog, together with a “please” and/or a “thank you”, your request could generate more interest. This poem sends a powerful message. The importance of being there for others can’t be measured. As one who has benefited from your listening ear, the value is priceless. such encouraging words. to make someone want to live is a great gift. Agreed Gina. Sadly, we seem to live in a rather self-focused society … but good Samaritans are still out there volunteering to serve the less fortunate. We should celebrate them a little more, and ourselves a little less perhaps? Just thinking. i agree, we are too self-absorbed, I am guilty of that too and need to take focus away from self to be really effective in this world. your poem is a start Colin. thank you Colin. words I will take to heart.